UPDATE: The market will be closed Saturday, 5/6 due to rain. We're still open on Sunday! Join us for this weekend's SoWa Open Market, featuring 100+ artisans, 50+ local farmers and food makers, over a dozen iconic food trucks, craft beers, & live music! This weekend will feature musical performances by Andrew O'Keeffe (Sat) and Polar Sea (Sun), a magic show by Darren Yong, and hula hooping with Hoop! There It Is. Come hungry because the following food trucks will be serving up a feast! The 13th annual SoWa Art Walk is also this weekend! Explore the 300+ art and design studios, galleries, and boutiques that call SoWa home year round! While you're here, check out the SoWa Vintage Market. 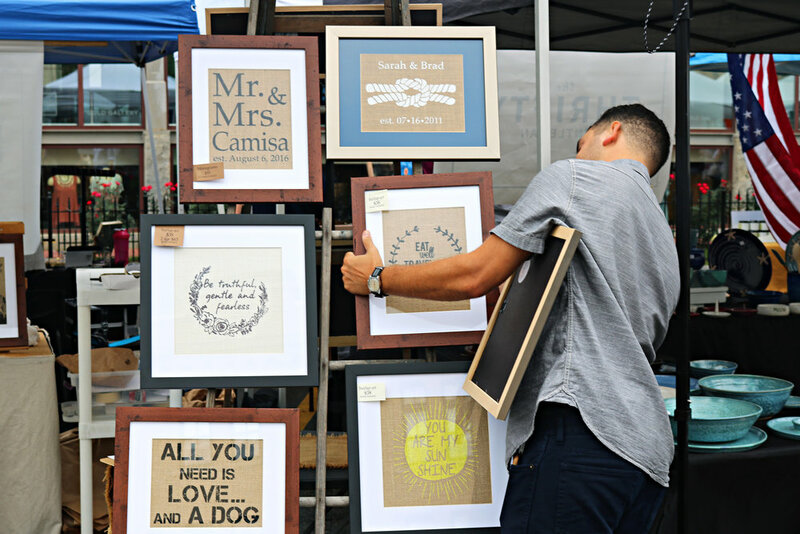 As always, the SoWa Open Market is family friendly, pet friendly, and FREE! Every Sat & Sun, April 29 - Oct 29, 10 am - 4 pm. Plenty of parking is available. See the map below.